Well folks I turned 76 today (10 19 40) and have finally found my kindred spirit. If I could wake up tomorrow with Mike’s brain I would consider it the same as waking up in heaven. Men such as him should be our Nations leaders, but I guess they are too few and far between. You would do well to emulate him. Although I do not have his intelligence, memory recall, and a host of other abilities, I do have his conclusions. Such as, all men should be willing to die for their freedom from tyranny, and have the ability to recognize it when forced upon him. There is no other way to live a happy life and be a productive citizen. Both of which is something we all should have the opportunity to pursue. If men with morals and intelligence like his were common, there would be no wars, no hunger, no tyranny, no financially destitute, and all people without this ability would have their needs met from an economy that produced enough employment for everyone. If you doubt my words, compare his articles to any past and especially the present CEO of America INC. Does it not bother you that you are owned, and controlled by some far off Investment Banker whom you have never known? Does it not embarrass you to tears to have obtained your present age and have never known these facts, when they have been available from the get go? Are you not humiliated beyond imagination to have been beguiled your entire life into worshiping a non existing government which made you complicit in all this mess. Do you even understand what I am telling you this very moment? AND IF YOU THINK YOU ARE A CHRISTIAN READ MIKE’S ARTICLE BELOW! What is the point of no return? What could possibly happen to an individual that would cause them to abandon all sense of order and seek instead violent and deadly revenge against another human being or group of people, many of whom are personally unknown to the perpetrator(s) of violence? Is this human action a devotion to some fanatical practice of religion or simply a reaction to violent stimuli? If religious fanaticism is the answer, is it possible such religious fervor exhibited in the acts of the “terrorist” creates in its opponent an overwhelming desire to abandon their professed religion? If we are truly fighting a war against radical Islam, is it OK to abandon the tenets of Christianity, a faith professed by the great majority of the so-called conservatives who support the perpetual war for peace paradigm of our government? 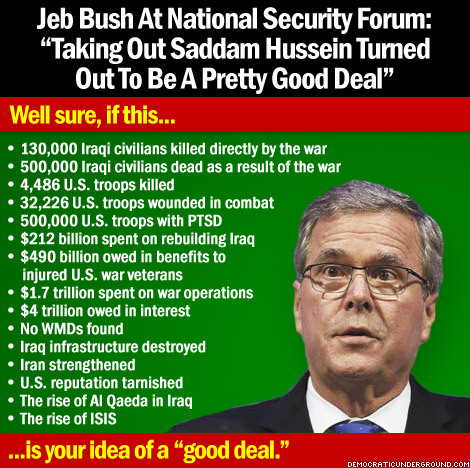 If that has actually occurred, have the radical terrorists not already won the war? What else could constitute acceptance of the deaths of hundreds of thousands; many of them civilians, to prosecute wars we know are based on lies hatched in the halls of our own government and nurtured to maturity by a state-owned and controlled media? 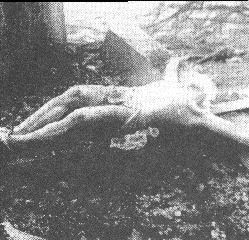 70 years ago (August 9, 1945) an all-Christian bomber crew dropped a plutonium bomb over Nagasaki City, Japan, instantly vaporizing, incinerating or otherwise annihilating tens of thousands of innocent civilians, a disproportionately large number of them Japanese Christians. The explosion mortally wounded uncountable thousands of other victims who succumbed to the blast, the intense heat and/or the radiation. In 1945, the US was regarded as the most Christian nation in the world (that is, if you can label as truly Christian a nation whose churches are proponents of eye-for-an-eye retaliation, are supportive of America’s military and economic exploitation of other nations or otherwise fail to sincerely teach or adhere to the ethics of Jesus as taught in the Sermon on the Mount). Ironically, prior to the bomb exploding nearly directly over the Urakami Cathedral at 11:02 AM, Nagasaki was the most Christian city in Japan, and the massive cathedral was the largest Christian church in the Orient. Those baptized and confirmed Christian airmen, following their wartime orders to the letter, did their job efficiently, and they accomplished the mission with military pride, albeit with an astonishing number of near-fatal glitches in the mission. Most of us Americans would have done what the crew did if we had been in the shoes of the Bock’s Car crew. And, if we had never seen, heard or smelled the suffering humanity that the bomb caused on the ground, and if we had been treated as heroes in the aftermath, most of us would have experienced no remorse for our participation in what was retrospectively universally regarded as a war crime. Indeed, the use of the most monstrous weapons of mass destruction in the history of warfare, was later defined by the Nuremberg Tribunal as an international war crime and a crime against humanity. Of course, there was no way that the crew members knew that at the time of the mission. Some of the crew did admit that they had had some doubts about what they had participated in after the bomb actually detonated. But none of them actually witnessed the horrific suffering of the victims up close and personal. “Orders are orders” and disobedience in wartime is severely punishable, even by summary execution, so the crew obeyed the orders. It had been only 3 days since the August 6th bomb had incinerated Hiroshima. The Nagasaki bomb was dropped amidst massive chaos and confusion in Tokyo, where the fascist military command was just beginning a meeting with the Emperor to discuss how to surrender with honor. The military and civilian leadership of both nations had known for months that Japan had lost the war. The only obstacle to ending the war had been the Allied Powers insistence on unconditional surrender, which meant that the Emperor Hirohito would have been removed from his figurehead position in Japan and perhaps even subjected to war crime trials. That demand was intolerable for the Japanese, who regarded the Emperor as a deity. The USSR had declared war against Japan the day before (August 8), hoping to regain territories lost to Japan in the humiliating (for Russia) Russo-Japanese War 40 years earlier, and Stalin’s army was now advancing across Manchuria. Russia’s entry into the war had been encouraged by President Truman before he knew of the success of the atom bomb test in New Mexico on July 16. But now, Truman and his strategists knew that the bomb could elicit Japan’s surrender without Stalin’s help. So, not wanting to divide any of the spoils of war with the USSR, and because the US wanted to send an early cold war message to Russia that the US was the new planetary superpower, Truman ordered bomber command to proceed with using the atomic bombs as weather permitted and as they became available (although no more fissionable material was actually available to make a fourth bomb). August 1, 1945 was the earliest deployment date for the Japanese bombing missions, and the Target Committee in Washington, D.C. had already developed a list of relatively un-damaged Japanese cities that were to be excluded from the conventional USAAF (US Army Air Force) fire-bombing campaigns (that, during the first half of 1945, had used napalm to burn to the ground over 60 essentially defenseless Japanese cities). The list of protected cities included Hiroshima, Niigata, Kokura, Kyoto and Nagasaki. Those five cities were to be off-limits to the terror bombings that the other cities were being subjected to. They were to be preserved as potential targets for the new “gimmick” weapon that had been researched and developed in labs and manufacturing plants all across America over the several years since the Manhattan Project had begun. 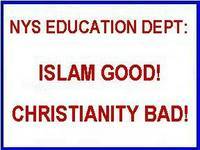 Liberty News: York State education officials devised a high school exam containing passages extolling positive accomplishments of Islam while casting a negative light on aspects of Christian history. Another passage observed that public lamps lighted roads in Muslim-occupied Cordoba, Spain, seven centuries before there was a single public lamp in London, the New York Post reported. In a previous article titled In Bed Together, I explained a scientific theory that espouses “out of chaos comes order,” and its possible role in the creation of the NWO. That is the scientific theory, but have you wondered why leaders claiming to be religious Christians have no problem grabbing the wealth and appear to have no regard for the abject misery caused by their single-minded pursuit of glory on the road to Armageddon? I have, and I would now like to explore the question – what does Christianity have to do with it? First, let us postulate that most people would like to improve their circumstances, and in effect, are vying for some type of perfection in their lives. Let us also postulate that the elites that rule us are also in a quest for perfection, and since they have a whole lot of money, are in a position to do something about it in a rather big way. 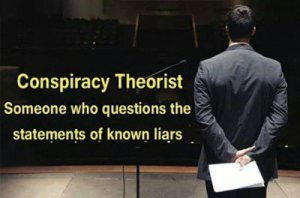 If we look at the CIA training manuals “KUBARK Counterintelligence Interrogation,” July 1963, “Human Resource Exploitation Training Manual,” 1983, and the MK Ultra mind control experiments from which many of the CIA’s methods were taken, we realize that in their quest for control, the ruling elites that own our Federal government and funded the MK Ultra experiments, found that a clean slate is desirable from which to start re-programming the human personality. This clean slate is supposedly necessary because it exists without the excess baggage of previous experiences, traditions, or morals. It is the state of complete openness, devoid of previous writing, and completely receptive. It is the ideal place to write the new personality. The rules for producing this clean slate, whether applied to a person or institution, are not based on morality or fairness, but on the premise that if a few eggs are broken in the process, there are always more to be had. There is one major problem with the clean slate theory however, and that is, erasing the slate and making it completely clean has proven to be quite tricky – in fact, impossible. The only way that man has attempted to erase the slate is through destruction by some form of violence, and this destruction has not succeeded in wiping any slate clean, but has only resulted in a lot of broken pieces that will not be able to be put back together again; at least not by man. The Federal government licenses churches as corporations. The things you need to start a Federally recognized church are Articles of Incorporation, and a Federal Employer ID or F.E.I.N., Bylaws, and an IRS 501c3 Tax Exemption. To keep this tax-exempt status, the church corporation needs to play by Federal and state rules. If it doesn’t, its tax-exempt status can be revoked. This is a huge incentive to follow Federal and state mandates when it comes to church doctrine, rather than follow the actual words of the Bible. A church can have most any type of belief structure, and as long as it abides by Federal rules, it maintains is status. This means that any Federally licensed religion is inherently corrupt because the rules of the Federal government, and state laws pre-empt Biblical laws. Therefore, even if you believe the Bible to be the Word of God, you had better make sure that you obey the laws of the land first and foremost, and place the Word of God in subordination to them, or lose your status. This is the corporate church. Now, let’s look at organized religion in the form of Christianity. Christianity is also based on the “clean slate” theory. When one is “saved,” his/her slate is said to be “wiped clean.” There are church officials such as pastors, bishops, or priests that attempt to stand as mediators between the individual and his/her Creator, and profess the authority, which they do not have, to declare a person “saved,” or “born again” with a clean slate. If one reads the Bible in its entirety, he/she will discover that these so-called mediators not only have no divine authority to wipe a person’s slate clean, but have no clue as to how it is done. Only the Almighty Himself has that authority, or even knows what to do and how to do it. Therefore, any authority that these “mediators” assume they have in the area of salvation and wiping one’s slate clean is actually derived from the ordination they have received from the Federally licensed corporate church whose articles of incorporation they have pledged to uphold. Since the Federal and state laws trump Biblical law in these organizations, the corporate church’s ultimate authority stems from the Federal government and not the Almighty. Therefore, we have another case of man trying to create a clean slate on his own, and as we have seen previously, there is a major problem with the clean slate theory. Man cannot create a clean slate on his own. When he tries, he leaves a lot of broken pieces around that he cannot put back together. Okay, let us say that a person receives a “born again” experience outside of church doctrine with no help from an “ordained minister” of the church. Even if the “born again” person has had an actual epiphany in spite of the pastor, bishop, or priest, he/she will still be the same person with the same faults as before the “born again” experience. Now the real work begins. The “truly saved” person will work on him/herself for the better, through a long process of self-reflection and prayer, and in time, the pieces of his/her life can be put together in a more perfect form with the help of the Almighty. It is not an instantaneous transformation, and the slate is not immediately wiped clean. A person must examine his/her life and determine what portions of it are acceptable and what portions are not. The things that are not acceptable are identified and a path is laid so that person can get rid of them if he/she wants to. Wiping the slate clean is a process that takes a lifetime, and cannot be done for you by a pastor, bishop, or priest. However, if that person has not had an epiphany, then he/she has not been “truly saved,” and is either deceived and truly believes that one man has the power to “save” another and create a clean slate, and is in fact relying on church doctrine, which is subordinate to Federal and state law, for “salvation,” or he/she really knows something is amiss, but decides to just fake it in order to be accepted by the Church. Ultimately, what this person is left with is a bunch of broken pieces and no clue as to how to put them back together again. According to the Bible, Armageddon is the destruction that precipitates a clean slate for the new world – a new Jerusalem, in a Garden of Eden-type state. If you have indeed received revelation and are truly in touch with the Almighty, then you will understand that He is in control, and it is not your duty to attempt to change the world. He is fully capable of doing that. It is your responsibility to work on changing yourself, do what is right, and thus become an example for others. However, if you are either faking it or believe that man can save man, and think your slate has actually been wiped clean because you have been “born again,” what is to stop you from believing that the whole world’s slate needs to be wiped clean, and it is your duty to participate in the world’s salvation? After all, if you believe that you have been instantaneously “reborn” through the efforts of a corrupt earthly mediator, why wouldn’t the same theory apply to the entire world? Conversion of the non-believer is a key concept in corporate religion, and church history tells us that if conversion is not voluntary, forced conversion will do. Therefore, attempting to force Armageddon on the world to convert it and create a clean slate so that it may be reborn as the New Jerusalem is not a far reach for loyal converts. As we have discussed earlier, it is the Federal and state laws that are the ultimate authority in Federally licensed religions. And who owns the Federal government? The corporate elites. This is our corporate government. So, who creates the final doctrine for the Federally licensed Christian church? That’s right, the rich and powerful. And what do these people like to do? They like to create programs such as MK Ultra that focus on controlling the masses, and somehow I do not think the corporate church is exempt from this penchant for manipulation. In fact, the church is a very effective tool for controlling people. So, if the rich and powerful create the doctrines for corporate religion in order to indoctrinate and control the masses, where do they believe their authority comes from? What if they actually believe that they have the divine right to rule based solely on their privileged status? Let’s discuss divine right. What if you believe that you are a child of God and therefore possess the divine, or God-given right to rule, and that is why you are so rich and powerful? What if you think that the ultimate sign of your worthiness to rule others is the wealth and power you have been “blessed” with? What if you believe that all of your sins have been washed clean, and you have become a new person instantly – no stirring required? What if you believe that in the name of your God, you can do no wrong? What if, in your arrogance brought about by excessive power and material wealth, and with your belief in divine right, you think it is your God-given duty to bring about a clean slate for the world through Armageddon, and expect a New World Order to rise out of the ashes of chaos? Your “New Jerusalem.” What if you have the position and power, and end up killing thousands upon thousands of people in the name of your God, while setting up your own version of the New Jerusalem, because you believe you have the divine right to do so, and/or are required to do so by the dictates of your religion? What if there are enough of you, with enough power and money, fueled by the same desire, to pull it off right under the noses of the common people, and actually glean their support? What if this New World Order is a horrible experiment that involves man acting as God? If the elites are trying to create a man-made Armageddon in which to wipe the earth’s slate clean so that they can create their own “New Jerusalem” because they think it is their God-given duty, we are in for serious times ahead. As we have discussed earlier, by trying to wipe the slate clean, man just leaves piles of rubble around and has no clue how to put Humpty Dumpty back together again after the fall. The rich just glean the spoils from the rubble because they believe it is their God-given right to do so, and the rest of us try to survive while digging our way out of the rubbish or die. Those of us who do survive will need to learn some really good survival skills, and fast. If by acting as Gods, and attempting to force a manufactured Armageddon on the world to create a clean slate for a New World Order, their version of the New Jerusalem, it would seem that these global elites are taking arrogance to a new level. If you believe in a religion of your own creation that by its very nature is corrupt, anything goes. The bottom line is, we were not put here to control others. We are here to learn how to become better human beings. None of the corporate elites or their lackeys has the divine right to rule anyone. This includes G.W. Bush, the Rockefellers, Bill Gates, the Pope, the King of Saudi Arabia, the Shah of Iran, the government of Israel, Hamas, the Christian church, or any other person or organization that derives its life from the blood of others. If you belong to any organization, including a corporate religion that takes its authority from the Federal government, then your organization is corrupt, and you had better start examining your conscience because anything goes. If you do not take a good, hard look at what you stand for and decide to stand up for what is right, and not what the Federal government or the corporate church tells you is right, then you’ve chosen the dark side and you just might end up becoming President! It is time for reflection, and devising a plan to become more self-sufficient by weaning ourselves off the corporate teat, whether that is corporate religion, corporate food, or anything else directed and owned by the corporate elite. If we are indeed at the beginning of a depression caused by these so-called “divinely appointed saviors” who are attempting to throw the world into chaos by a man-made Armageddon, then self-sufficiency and localization of food sources will become necessary to survive. I believe that if we are to improve our circumstances, instead of bowing and scraping to the corporate elite who consider themselves divinely appointed to rule the rest of us, we need to start sharing information with others of like mind. This sharing will hopefully lead to a brighter future where people reach out to each other and form small communities in which food is grown locally, and trade is established between neighbors. If you have anything to share, please do so. This site is for all of us. The time to prepare is now!